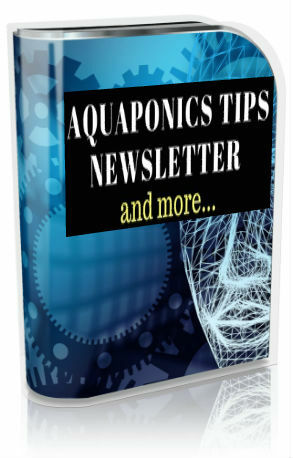 Best Fish For Aquaponics - Find out what's best for your setup? This is one of the most asked questions is, what’s the best fish for aquaponics? And this is a very valid question in view of the importance this has on the sustainability of an aquaponics system. One of the most important criteria here is that the fish species in question must produce sufficient ‘poo’ to sustain the aquaponics plants. Adding to that, the aquaponics fish species selected has got to be hardy yet tasty enough to be served as dinner. Tilapia and Trout are definitely two of the more popular fish for aquaponics. As they are reputable for being hardy, fast growing and great tasting fish. Nevertheless, there is really no best fish for aquaponics per say really. 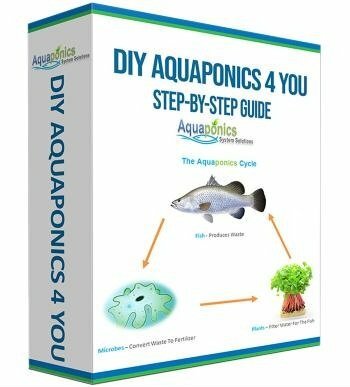 This is mainly because there are determining factors to be considered in choosing the right aquaponics fish for your system. One of the main factors to consider is the climate conditions of your geographic location and available supplies. There are also the legal restrictions against growing certain species of fish that you need to consider. Gold fish, Tetra, Koi, Guppies and other ornamental fish are also very good aquaponics fish candidates if you are considering non-edible fish. 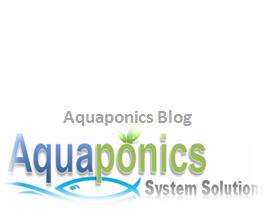 Let us take a look at some of the more popular aquaponics fish in the industry. Catfish is one of my favorites simply because they taste great, grow to plate size very quickly and very easy to raise. The main problem I have with catfish is that it’s fry or fingerlings supply is not consistent year round. This proves to be a problem in striking a good balance between harvesting and maintaining good water chemistry. Catfish tends to be more sensitive to water quality though. So, be causes. Tilapia is definitely a popular fish the world over due to their hardiness, fast growth rate and really good to eat. This aquaponics fish species originate from Africa and about 4000 years ago. There are history records that show ancient Egyptions farming them for food. Tilapia loves warm climates and can be stocked in high densities with success. They strive in temperatures between 74 – 78 degrees F and grow to plate size in 6 – 9 months. You can say it’s really one of the best aquaponics fish. Silver Perch, also known as Silver Bream, Bidyan, Grunter, Silvers and Murray Perch, is a very popular aquaponics fish in South East Queensland. They are reasonably tolerant to ammonia and will not eat each other, not even the fingerlings of the same species. The negative side though, is that they take a longer time to mature. Barramundi is more suitable in warmer climate conditions. This aquaponics fish choice gives you a clean taste and is especially popular in Australia. Barramundi harvests easily and supply is available all year round. Jade perch is packed with omega 3 oil so it is absolutely amazing in promoting good health with its consumption. It is a very hardy fish, omnivorous and grows readily with relatively inexpensive diets. You will never go wrong having Jade Perch as your fish of choice. Trouts are most suitable in cold climates. They taste fantastic but needs pristine water conditions to strive. Trouts also grow extremely fast but are sensitive to pH fluactuations. This fish can be found in many aquaponics setups as they grow well in this kind of environment. Koi fish is of the carp family. They are very popular in Asian countries mainly for their lucrative business. Not for food but for display purposes in koi ponds and aquariums. The popular breed can easily sell for thousands of dollars each in the market. 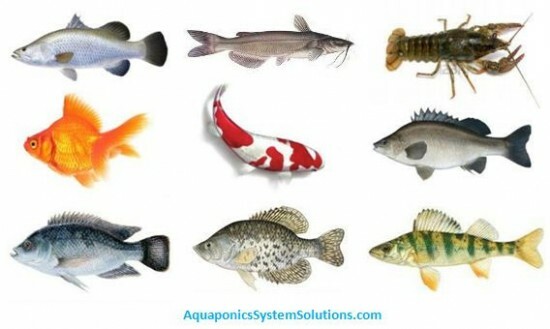 They make great aquaponics fish and if you love koi, you can definitely incorporate them in your aquaponics system. Goldfish is popular among the commercial aquaponics community as they can be sold to aquarium or pet shops for a good profit. They also breed easily, so if planned properly you can make a rather lucrative and consistent income. Good for warm weathers and really nice to have in an aquaponics system. Crayfish, more commonly known as the freshwater lobster, is actually of the lobster family which explains their similarity. Their diet include dead as well as living animals. Some aquaponics operators use them to help keep the bottom of their fish tanks clean, while earning an extra bug in their revenue. So there you have it, some of the best fish for aquaponics that in my opinion, would put a smile on your face to have. Again, do check with your local Fish and Game Department before deciding on your aquaponics fish species. You do not want to run into trouble with the authorities for growing the wrong fish for your aquaponics system. Below are some of the aquaponic fish feeds I’ve discovered to be most suitable for your aquaponics set-up. The Aquaorganic variant (the first image to the left) can be conveniently crushed to smaller portions to be served to fries or fingerlings. The 2nd one is suitable for juvenile fish. The 3rd is for intermediate size, 3 to 4 inches long if it’s Tilapia, Koi, Catfish, Bluegil, Tilapis, Koi and Catfish, Tilapia, Bluegil adn Tilapis and etc. like. The last is recommended for “grow out” fish that are about or more than six” long. Victoria Kelly, the author of the book has done an extensive research with universities and medical institutions to arrive at the actual ingredients to help consumers make better decisions when buying fish feed. For $3.97 it’s a steal. Click on the image below to find out more!